Weck Large Fermenting Lid, Airlock, Seal and 2 Clips. Excellent fast shipping, products came well protected in ample packaging. The jars and airlocked lid are an excellent size for home fermenting projects and the Snap On lids do a great job of keeping things fresh in the fridge. I have purchased a lot of products from Oz Farmer and have been exceptionally happy with their service and products. Great work! I have enjoyed all the products that I have purchased from Ozfarmer, although the shipping is high, Ozfarmer has things that I cant find here in America! Great to use, easy to seal, looking forward to getting more of these. 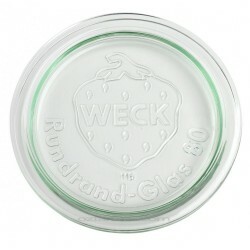 Weck reusable Glass Lids are of the highest quality and contain NO BPA! (Bisphenol A). Weck Lids are made with thick heavy duty glass. Glass lids preclude issues with rusting and chemicals. If you want one of our glass dunking weights, the medium size is best suited to this jar. 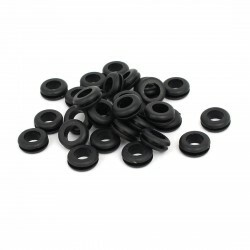 1 x Food safe rubber replacement seal (grommet) to fit Ozfarmer/Ball Mason/Weck fermenting jarsT..